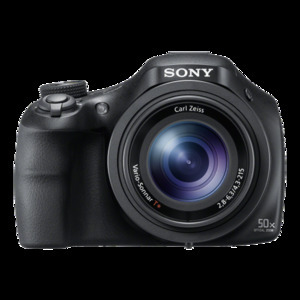 The Lowest price of Sony Hx400V in Pakistan is Rs. 56,900, and estimated average price is Rs. 67,500. Get the latest price for Sony Cyber-shot, Sony Hx400v, and other products. The prices are collected from the best online stores in Pakistan like HashmiPhotos, Tejar - updated Apr 2019. A bridge-style small camera, the Cyber-shot HX400V by Sony makes use of a optical zoom lens of 50x that can cover a range of 24-1200mm. GPS, NFC, and Wi-Fi are built in the camera which makes geo-tagging and sharing pictures easy. The Sony HX400V also contains an electronic finder and a 3-inch screen which makes your shooting experience similar to a DSLR. It features a 20 megapixel (MP) sensor, and a 5184 x 3888 maximum resolution, all in a compact and lightweight design.